From the Warriors signing DeMarcus Cousins for cheap to Blake Griffin being owned a lot of money by the Pistons, The Crossover breaks down the best bargains and worst contracts heading into the 2018-19 NBA season. Despite the ink still drying from this summer’s free agency acquisitions, front offices around the league have shifted their focus to the 2018-19 campaign, eyeing pieces to be added and contracts to be sloughed off. For some organizations, previous years of free-agent malpractice have led to flooded cap sheets in desperate need of repair. Shrewder teams have begun clearing the way for next summer, holding their cap space for a swing at next summer’s impressive free-agent class. The state of an organization’s cap sheet can often be traced back to a single contract. Miscalculating on a high-priced extension can lock teams into an immovable albatross, while paying a superstar role-player money allows teams to flush out their roster. With that in mind, here are the four best bargain deals heading into 2018-19 (rookie contracts excluded), as well as as the five biggest cap-sheet catastrophes. 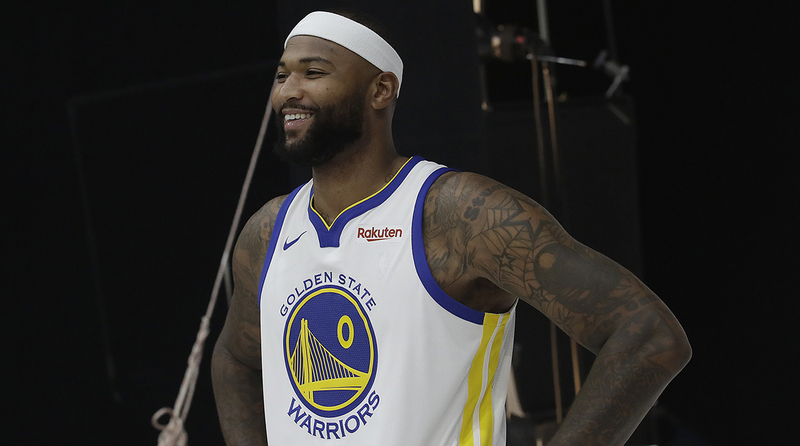 The circumstances surrounding Boogie’s 1-year, $5 million deal with the Warriors are unique. The often-brooding center is likely to sit out until at least January as he recovers from a torn Achilles, and no team was willing to shell out a significant long-term deal for the four-time All-Star. New Orleans was reported to offer a 2-year, $40 million deal, but Cousins opted for a lone season in Golden State, looking to rebuild his value (and image) before trying to cash out in 2019. Yet regardless of the extenuating circumstances, $5 million for Cousins is the steal of the season. Have people forgotten how dominant of a force Boogie is? This isn’t an over-the-hill dinosaur, a relic looking to reclaim his lost youth. When healthy last season, Cousins was arguably the best he’s ever been. Cousins logged 48 games last season, providing a dynamic 1-2 punch alongside Anthony Davis. He revamped his game with a superstar big man patrolling the paint, evolving into a lethal inside-out threat. The eight-year veteran logged a career high in effective field goal percentage in 2017-18, shooting over 35 percent from three for the second time in his career. Rather than demand the ball on the block as he did for much of his ill-fated Sacramento tenure, Cousins morphed into a perfect secondary piece alongside Davis, forming the league’s most effective big-man pick-and-pop. A healthy Boogie come playoff time will likely spell death for the rest of the league’s contenders. Locking down the trio of Durant, Curry and Thompson is an unsolvable task in itself. Adding the premier scoring center of his era is borderline unfair. If Cousins can replicate 80 percent of his value from New Orleans, Golden State will cruise to its fourth title in five years. Outside of James Harden and Chris Paul, Tucker may very well be the Rockets’ most valuable asset. The University of Texas product can cover guards and centers with ease and is one of the strongest defenders in the league. Tucker is a grinder to the highest degree, excelling in the grime of offensive rebounds and low-post defense. The 2018 Western Conference finals highlighted the value of Tucker in Houston’s high-flying attack. Tucker bodied Kevin Durant and gave him fits despite ceding six inches, and didn’t balk at the prospect of stepping out onto Steph Curry or Klay Thompson on the perimeter. There are few more versatile defenders in the league, and at three years left on his contract for just over $24 million, Tucker is a steal. Tucker isn’t a facsimile of Andre Roberson, either. He remained a relevant outside threat throughout 2017-18, shooting 37 percent from beyond the arc. Tucker served as a quality corner-three outlet for Harden and Paul, outshooting fellow wing players Gerald Green, Trevor Ariza and Luc Mbah a Moute. 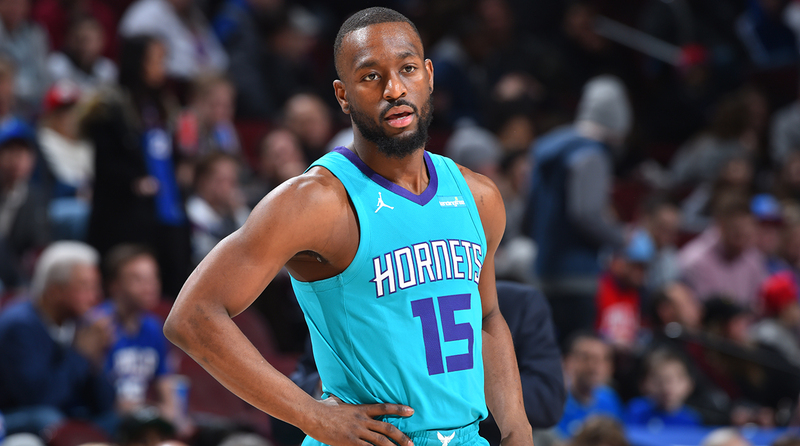 Come crunch time, Tucker’s versatility makes him an invaluable piece for Mike D’Antoni and Co.
It’s not hard to feel bad for Kemba Walker. Selected by Charlotte in 2011, the former UConn dynamo has never been surrounded by an upper-echelon supporting cast, forced to make due with overpaid lane cloggers and undeveloped non-shooters. But Walker has steadily become one of the league’s top scoring guards, nearly guaranteed for over 20 points per game with solid efficiency numbers. He enters his eighth season on the brink of 10,000 career points, sitting at 15th among active players for points in their first seven seasons. He’s been Charlotte’s Mr. Reliable ever since entering the league. The two-time All-Star comes cheap, too, earning just $12 million in 2018-19 after signing a 4-year, $48 million extension in Oct. 2014. Walker’s contract looks quite similar to Steph Curry’s pre-extension deal, cheap enough for management to surround him with quality talent. But instead of adding impactful pieces around Walker, Charlotte gave big money to Bismack Biyombo and Cody Zeller. That’s not a recipe for success. Fortunately for Walker, he’ll be a free agent at the end of this season, able to either walk to a contender, or earn a hefty deal from his hometown team. If Walker is going to be stuck with a bad organization, he might as well be handsomely paid. But the option of re-signing in Charlotte could be off the table altogether. If Charlotte struggles out of the gate, Michael Jordan and the Hornets’ brain trust could look to recover a controllable asset for the expiring Walker and enter a new era. A divorce may be necessary for the Hornets. It should be welcomed by Walker. The younger Curry will never be mistaken for his brother, but he quietly put up an impressive 2016-17 campaign, averaging 12.8 points per game while shooting 42.5% from three. Curry missed the entire 2017-18 season after fracturing his left tibia before the year began, yet at $2.8 million next season, Curry can serve a crucial role as the Blazers’ third guard for a minuscule price. The road back from injury is an arduous one, yet if Curry can regain his 2016-17 bounce, he can fit right into Portland’s backcourt, heavy on the shooting, light on the defense. Damian Lillard had a career year last season—he finished fourth in the MVP voting—but cratered in the playoffs, looking exhausted as he attempted to carry Portland past the Pelicans. Perhaps Curry can spell some rest for Lillard, launch some triples and recoup the value of a lost season in the next round of free agency. Did the Pistons think it was 2014 when they traded for Blake Griffin? Sitting on over $141 million owed over the next four seasons—including a ludicrous $39 million player option for 2021-22—Griffin will live out his final big-money contract aside a miscast collection of assets, bereft on quality guard play or impactful spacing. Owing $72 million next year to the trio of Griffin, Andre Drummond and Reggie Jackson next season, Detroit is taking an expensive path to mediocrity. Dwane Casey will quickly be wishing for a return to his years with Lowry and DeRozan. It wasn’t a surprise when the Clippers inked Griffin to a 5-year, $173 million deal in July 2017. Chris Paul had departed for Houston, and Los Angeles wasn’t ready to declare the death of Lob City. A retooled roster could keep the Clippers on the fringe of the West playoff hunt. It wasn’t the healthiest route to title contention, but it’s difficult to cut ties with a former No. 1 pick, one who was slated to have his name in the Staples Center rafters. 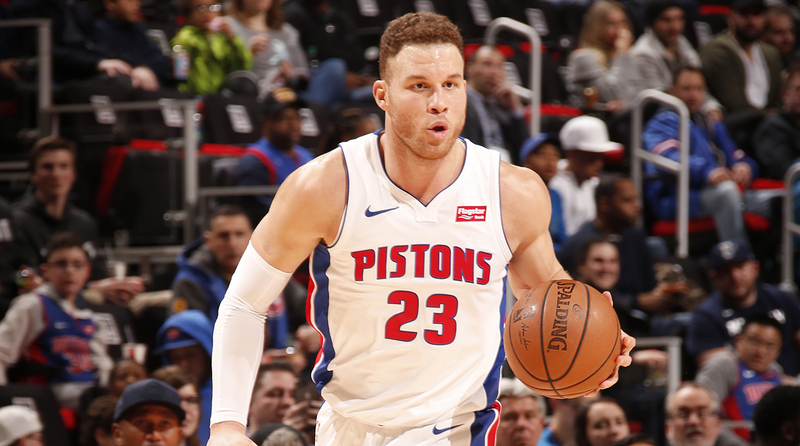 Griffin won’t see his jersey ascend in Detroit. His athleticism sliced from a collection of knee injuries, Griffin is the league’s most expensive complimentary piece. He tallied a career low in field goal percentage last season along with his lowest points per game output since 2012-13, transitioning from thunderous dunks to tepid mid-range jumpers. Griffin has become a shell of himself. The former top pick is still a valuable player. Griffin has become a heady passer and surprisingly effective lead ball handler as his career approaches the decade mark. Detroit will best be served by unleashing point-Blake, especially in transition. But an offense centered around Griffin is retrograde, limited to low-percentage looks. It won’t take long for the Detroit faithful to regret the final consequential move of the Stan Van Gundy era. Whiteside’s 2017-18 campaign was a mess, marred by a combination of injuries, limited playing time and public complaints. The six-year veteran looked disengaged for significant stretches, a far cry from the dominant rebounder and shot-blocking force he was in 2015-16 and 2016-17. Miami put faith in Whiteside in July 2016 with a 4-year, $98 million deal. That faith has thus far gone unrewarded. The former Kings cast-off still has two years left on his deal—including a $27 million option for 2019-20 that is sure to be exercised—but it’s hard to see a significant role for Whiteside moving forward. He failed to cross the 30-minute threshold in any of the Heat’s final 17 contests last season, averaging 15.4 minutes in Miami’s playoff series with the 76ers. Bam Adebayo is more active and engaged defensively than Whiteside, with none of the demands for the ball on the low block. Adebayo is an adept screen switcher, and light on his feet. Whiteside, by contrast, leads the league in lazy rotations followed by half-hearted attempts at a weak-side block. Erik Spoelstra is understandably not a fan. Pairing Whiteside with Adebayo doesn’t make much sense, either. Kelly Olynyk is a more natural frontcourt partner, effectively spacing the floor while leading Miami in plus/minus in 2017-18. Whiteside won’t be leaving South Beach anytime soon with two years and over $52 million left on his deal. But don’t expect Whiteside’s cap number to increase his minutes. If he starts 2018-19 like he ended last season, Whiteside should see a continued slide out of Miami’s rotation. Batum was billed as a stretchy second option to Kemba Walker when Charlotte signed him to a 5-year, $120 million deal in July 2016. The Frenchmen meshed well with both Brandon Roy and Damian Lillard in Portland, a lengthy wing with three-point prowess. Batum can put it on the deck and drive to the hole, reliable without being ball-dominant. It wasn’t a terrible bet for a team traditionally unable to lure top-flight free agents, a 25-year-old with appealing upside. The results have been underwhelming. Batum produced an uninspiring 15 points per game in his first two seasons with Charlotte before dipping to under 12 last season. He hasn’t held up the first half of his billing as a 3-and-D threat, shooting under 35 percent from beyond the arc in each of the last three years. Batum is a nice contributor, but far from one worth $24 million in 2018-19. Batum isn’t an anomaly in the Queen City. Charlotte’s mismanaged cap sheet is littered with questionable contracts and head-scratching overpays. Biyombo is owed $34 over the next two years, and the Williams-Zeller combo will be paid a combined $27 million next season. If Walker opts to walk after 2018-19, Charlotte will own one of the most depressing situations in the league, far outside of playoff contention, saddled with the remains of a spending spree gone awry. Speaking of depressing situations, check out the Cavaliers’ roster post-LeBron. Aside from the promise of Collin Sexton and the hopes of a Kevin Love revival, there isn’t much for Cleveland fans to look forward to. Anyone excited for the Larry Nance-Jordan Clarkson two-man game? Maybe a breakout Cedi Osman season? The future is bleak without the King. After years of overpaying role players to surround LeBron James, Cleveland sports a number of eyesore contracts. Both George Hill and Tristan Thompson have two years at over $17 million per season left on their respective deals, and Jordan Clarkson is owed almost $26 million through 2019-20. But the worst deal on the Cavs’ books is the owed to J.R. Smith. Smith may be the fourth highest-paid Cavalier, but at least Love, Hill and Thompson are expected to be quality contributors. Smith was borderline unplayable for significant stretches last season. J.R. spent his 2017-18 is cruise control, providing his usual slate of boneheaded errors paired with his highest turnover percentage since 2008-09 despite a career-low usage rate. The regular-season blunders were acceptable after three-straight Finals appearances. J.R. will be J.R., even 14 years into his career. But he didn’t flip the switch come playoff time. Smith shot just 34.8% from the field in the playoffs, clanking a slate of open threes in the Finals. And that’s not to mention the Game 1 fiasco, one of the worst mental errors in sports history. Don’t expect more postseason mistakes from Smith, albeit not by his own accord. Cleveland is unlikely to reach the playoffs this season, even in a wilted East. Smith will spend his 2018-19 as an expensive piece on a bad team, sitting at home in June rather than suit up for another Finals run.